For general printing and stationery. Also known in photography circles as DIN. 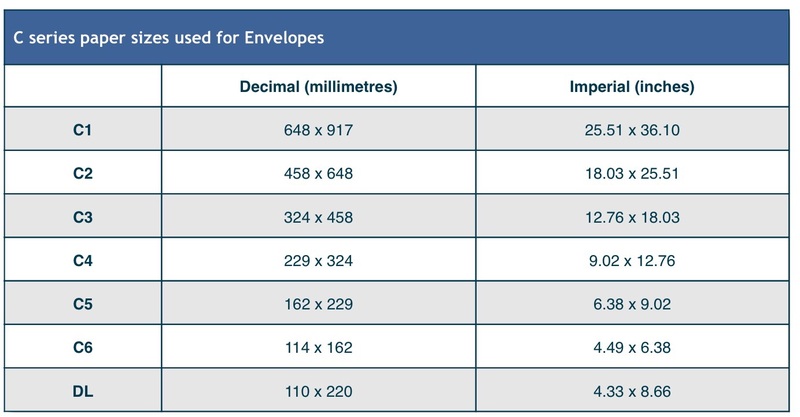 For general envelopes or folders to contain A sizes. The full sheet in each series is designated by the number 0. 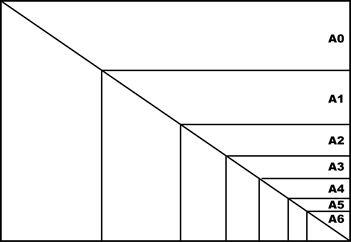 The longer length is then halved to give 1, and halved again to give 2 and halved again to give 3 etc. So, A4 is half of A3, A5 is half of A4 etc. 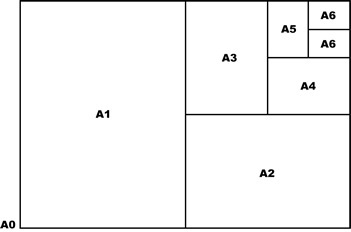 The A series is based on A0. The size, 841 x 1189, is one square metre in area. 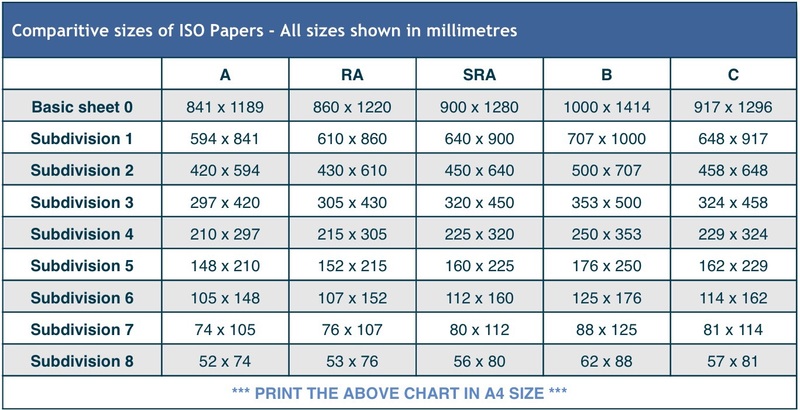 The weight of the paper is also based on the weight of one square metre in grammes, i.e. ‘gsm’. 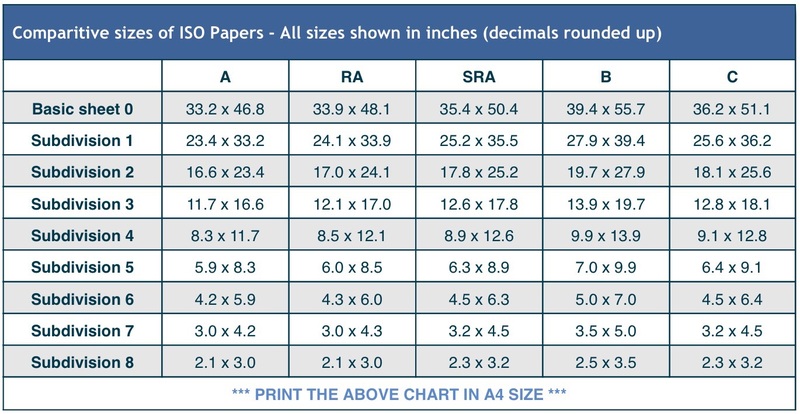 Are slightly larger than A sizes, allowing the printer extra space on a sheet for grip and trim. 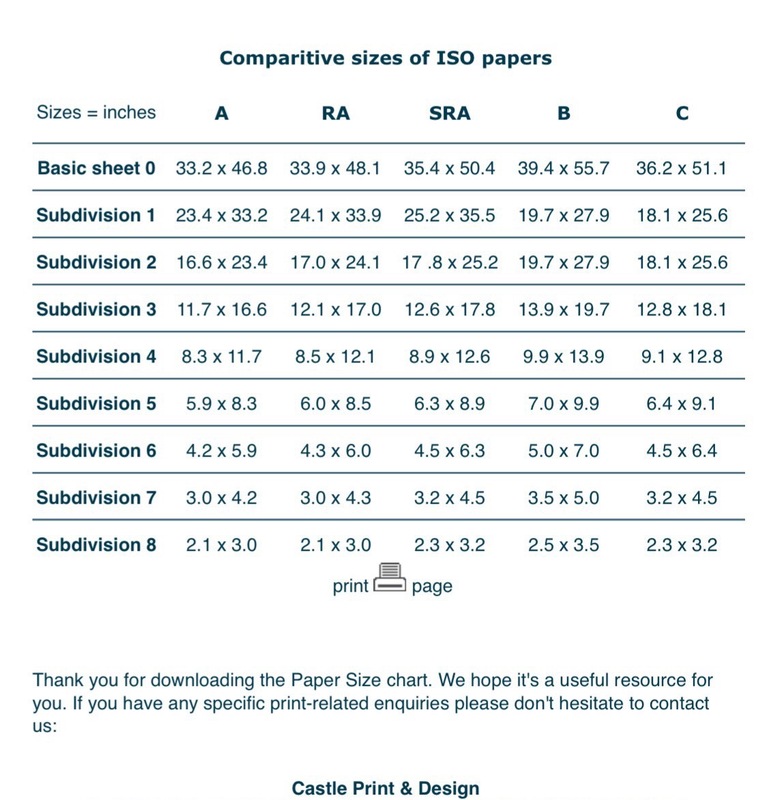 Are slightly larger than RA sizes, and allow for printed work which includes a ‘bleed’. When expressing the measurements, care should be taken as traditionally the upright measure was given first and the horizontal measurement second. The British Standards Institute recommends giving the shorter measurement first and following the measurement with the letter L on a landscape format. A4 landscape would then be: 210 x 297 L mm. 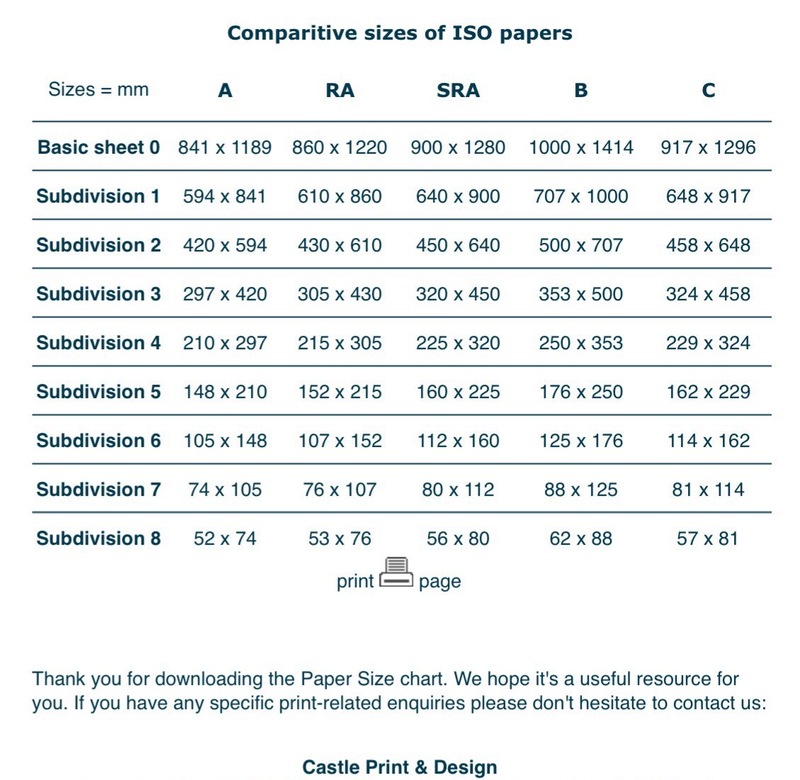 Click on the image above to download an A4 version of the chart in pdf format. If the pdf opens automatically in your browser, you can simply go to the file menu to do a ‘Save As’ to your hard disk. We hope the above has proved useful. If you have any suggestions on how we can improve any of the above information then please drop us a line using the contact link below.